Another project has been completed! 2017 has been productive for us, however, we both are taking a pause before we tackle the next item on our list. 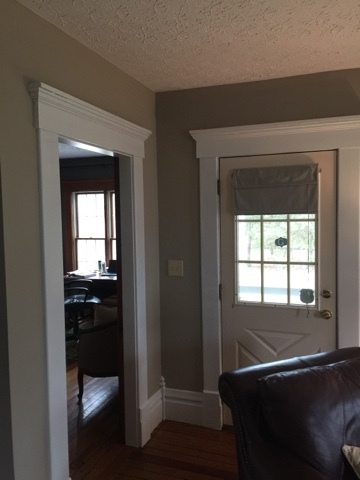 We painted part of the baseboard trim, trim and doors & windows in the newer part of the house. 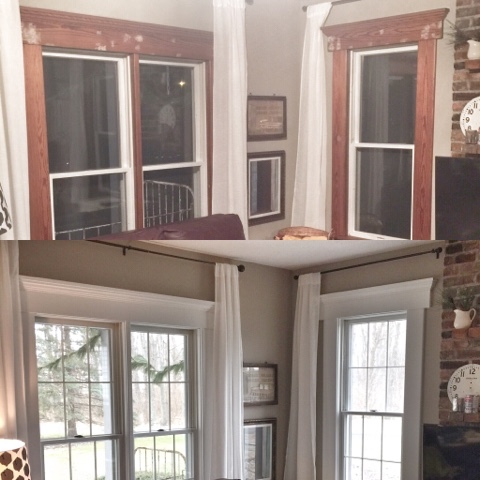 Today I'm excited to share the restyle of the old part of the house. 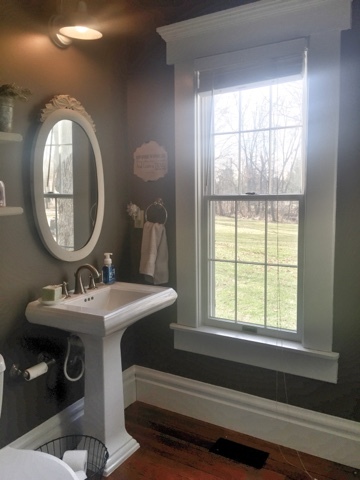 This bathroom was a dungeon, the white trim completely transforms this space. 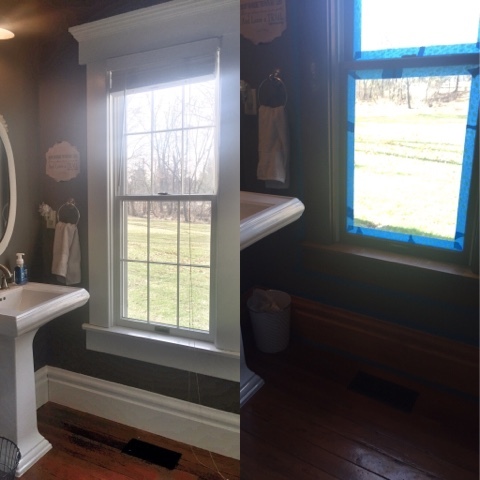 We completed the trim, doors and baseboards on the first floor. 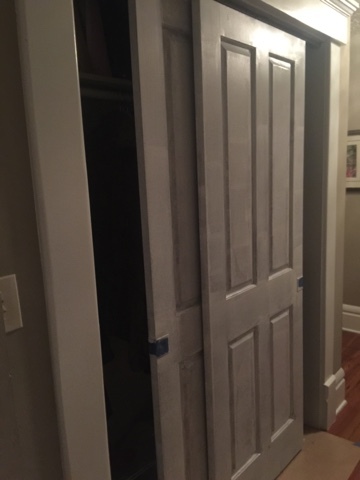 Five exterior doors, three pocket doors, the pantry and closet doors. 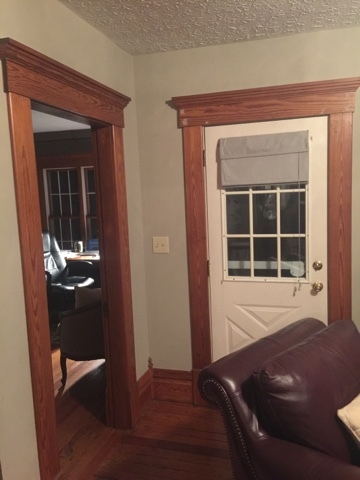 Our plan all along was to paint the doors the same color. However, I changed that up! 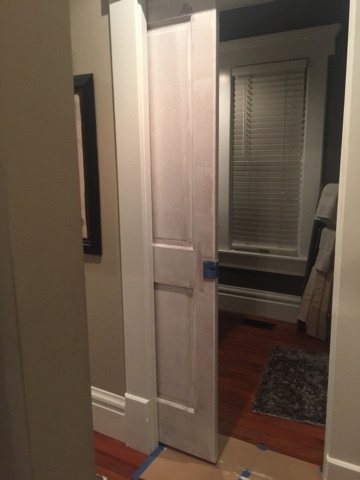 Part 3 will address paint, primer and the doors. spring touches and restyled furniture. UP THE ROOMS MAKING EVERYTHING SO MUCH MORE COMPLEMENTARY.